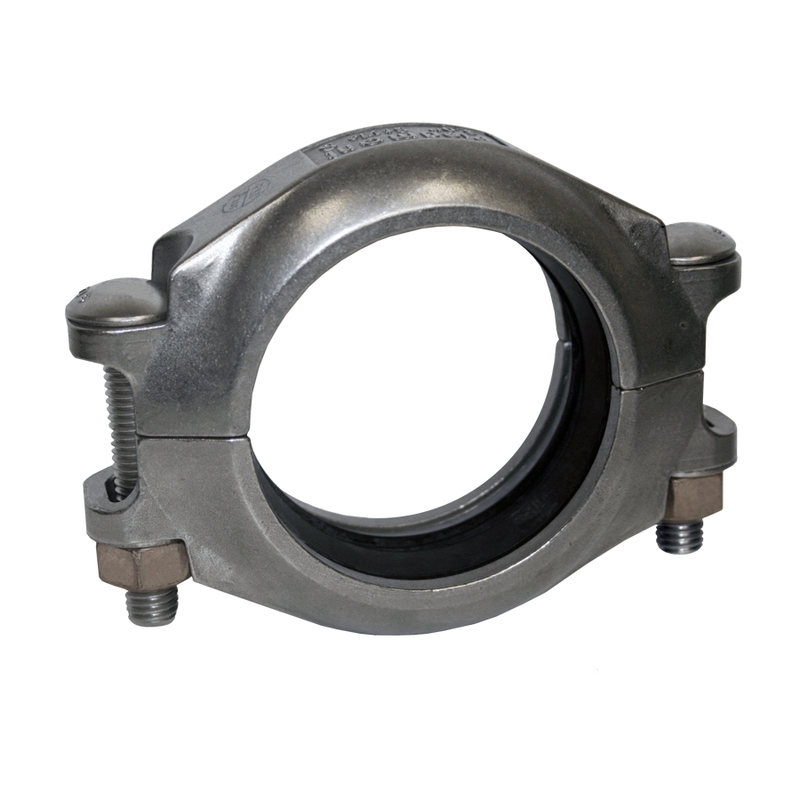 Style SS couplings incorporate the more noble, duplex-alloy construction, which although initially more expensive, offers the superior corrosion resistance and corresponding better longevity for highly corrosive environments compared to the Style B coupling which is constructed from 316 alloy. Consult Piedmont application engineering for guidance on the selection of metal alloy for your application. Superduplex stainless steel type CE8MN (UNS # J93345) conform to ASTM A995, Grade 2A requirements. Piedmont also offers this coupling in superduplex type CE3MN (UNS # J93404) conform to ASTM A995, Grade 5A requirements for higher resistance to corrosion. Other alloys are also available. *For the use of Style SS couplings on cyclic axial displacement systems, please consult with Piedmont for design and installation guidance.